Tottenham currently have the luxury of playing their football in a 90,000 seater stadium, as they currently reside in Wembley, home of the England national team. 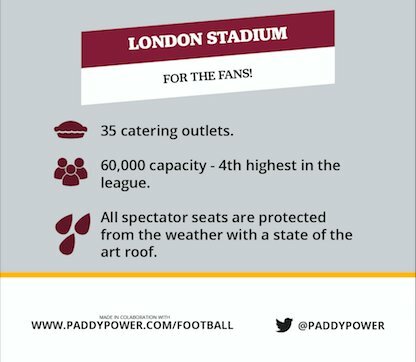 Once their new ground is finished, they will be playing in front of just over 61,500 fans, assuming they are able to fill it. West Ham meanwhile are currently playing their second season in their new home, the former Olympic Stadium. 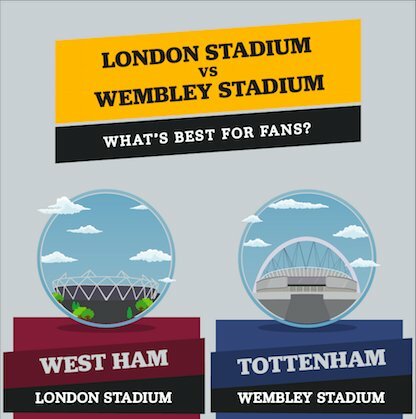 We have taken a look at both Wembley Stadium and the London Stadium, comparing the cost and chaos for fans to watch their favourite clubs. 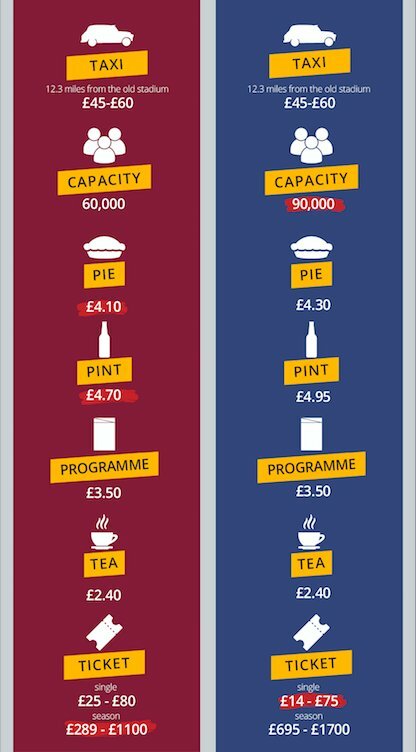 Using the information we have created the infographic found below. Posted on December 21, 2017 by Sammy Jakes.